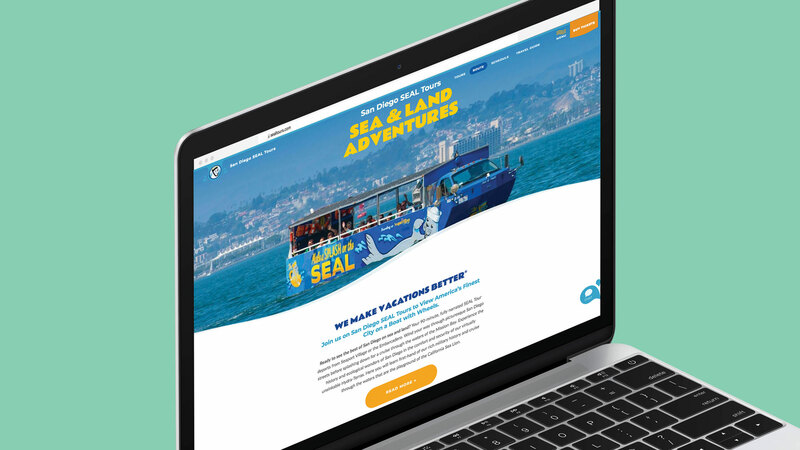 San Diego SEAL (Sea and Land) Tour is a city tour operator that offers 90-minute, fully-narrated land and sea tours of San Diego’s most popular landmarks. Part tour, part amusement park ride, this hybrid take on a city tour is the only one of its kind in the whole city. The amphibious vehicle splashing down in the bay is a pivotal moment on every tour and its mass appeal is a strong selling point on its own. 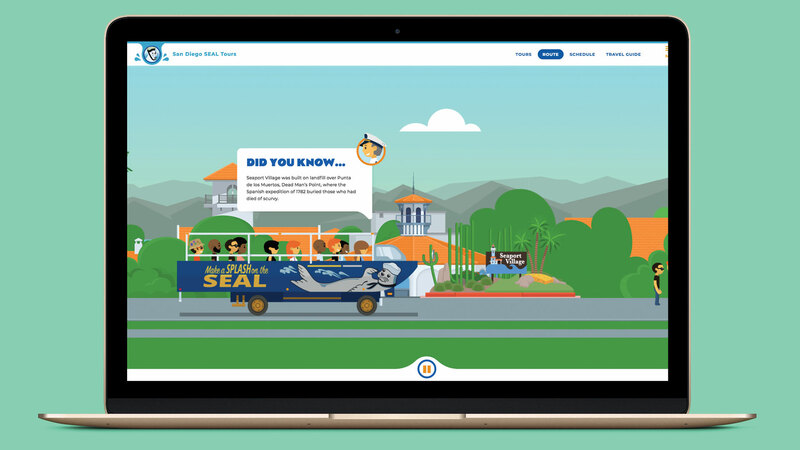 Despite the uniqueness of their product and their great relationship with the public, the San Diego SEAL Tour team felt it was time their brand underwent an overhaul and brought in our Miami advertising agency to rise to the challenge. When you’re looking to steer the conversation of a brand, web presence is a vital component towards achieving that end. As such, the BlackDog team got busy with building a website that was fully responsive, beautifully designed and a pleasure to navigate. Equally challenging, we wanted to increase their ticket sales derived from mobile devices, get their transaction rate conversions up and communicate their brand message of excitement and fun by baking it in to all their collateral and platforms. From the very earliest stages, both client and agency shared ideas and kept close contact every step of the way, ultimately benefiting the outcome tremendously. 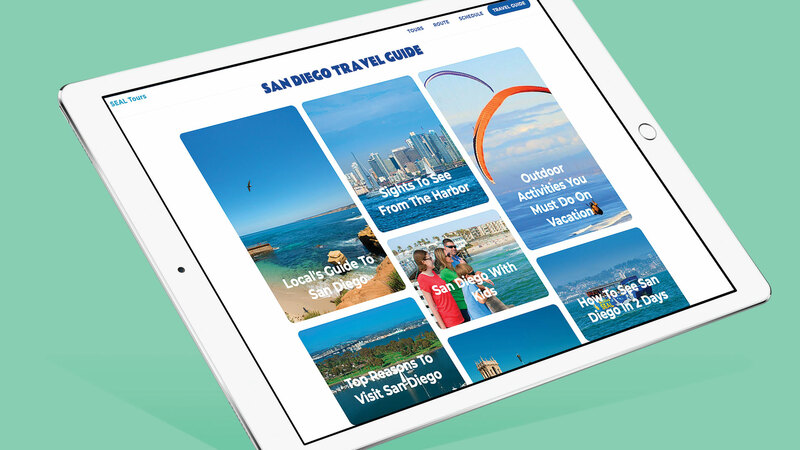 BlackDog was committed to creating a fun and informative guide to San Diego that utilized Google Maps technology and intricate HTML5 animation that loaded quickly and performed equally as well on a mobile device as on a desktop without cutting any corners. There was a conscious effort on behalf of the designers to ingrain the site with details that would connect the user with the element of water. From the ‘splash’ page with its wave-like contours to a menu button that floods the screen with blue upon clicking it, these whimsical accents really spoke to that sense of play we were going for. While the website has a very warm, cheerful, illustrative feel and is a breeze to use, even allowing 360-degree views of every stop on the tour, the real show-stopper is the tour page. The user is treated to an animated journey of the San Diego tour they are about to embark on. 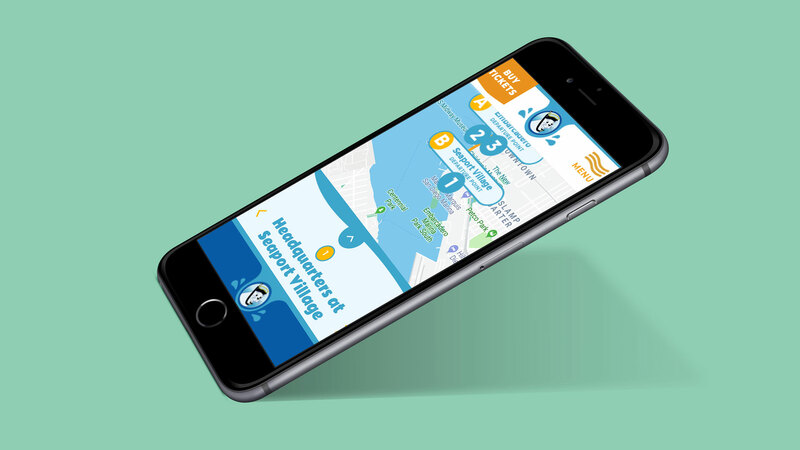 Via custom illustrated vector images, they are able to follow the SEAL vehicle down the street from one end of the screen to the other all the way to splashdown in San Diego Bay. On the journey, they pass mountains, the city skyline and points of interest where word bubbles appear displaying a fun fact about them as they pass. They’re even escorted at one point by two F-14 fighter jets before the SEAL vehicle splashes down into the sea past a couple of lounging seals, winding up next to an aircraft carrier. From a technical vantage point, we went the extra mile with this website. To create an intuitive user experience, jQuery functionality was integrated along with a Google Maps API to provide an informative and interactive experience. 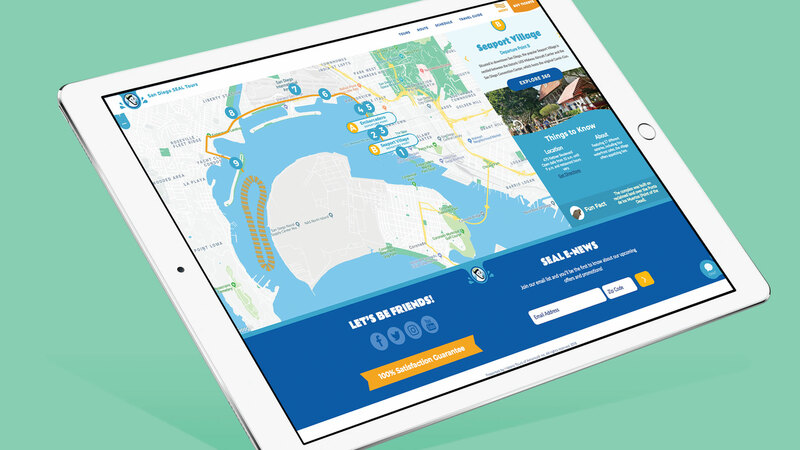 Parallax animations were used to guide users through trip tours and stops and chat widgets were integrated for real-time communication with agents to field customer inquiries. With a solid creative vision and an unwavering commitment by our team, both on the client and agency side, we were able to deliver an end result that dramatically increased our client’s key performance indicators.